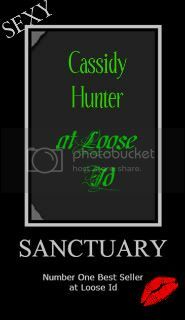 Sanctuary was given a 5 STAR review by Night Owl Romance reviewer Diana Coyle! Posted below is a snippet of the review. To read the full review, click here. 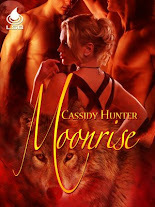 ...I think the perfect word I could pick to describe this storyline is, “Fantastic!” Ms. Hunter tells a story that will fascinate any reader who picks up her book. In the process, she leaves them sitting on the edge of their seats in eager anticipation of the confrontations that happen throughout the story between Kimberlyn and the wolf pack. I loved that Kimberlyn possessed special healing abilities which made her stick out from the majority of wolves she’s encountered. I don’t want to forget to mention the two gorgeous men that I fell in love with, Logan and Andrew, who also were wolves that Kimberlyn got to know. They desperately wanted her in their lives and hoped that she’d be willing to share the special relationship they had with each other. I thought they were perfect for each other. 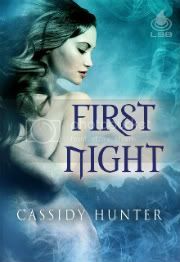 Ms. Hunter knows how to pen a steamy paranormal story that any reader can enjoy. I highly recommend this story and eagerly look forward to reading the sequel in the near future. I promise that you won’t want to put this book down until you finish it. Well done, Ms. Hunter! Thank you for the review, Diana! OH I do love this review! I will have to watch for your books at NOR, I review for them! !